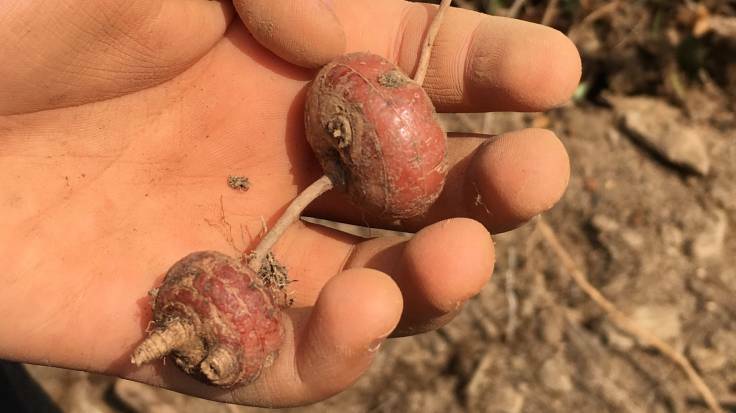 My 7 year old found these tubers where the diggers have been clearing the old farm pond – anyone any ideas what they are? #ForestGarden #PlantID #Forage. Whatever they are, they’re in a pot of compost now!